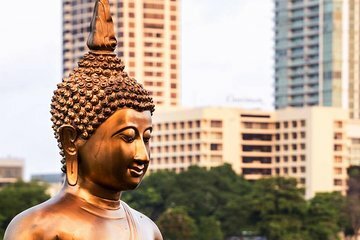 Make the most of Sri Lanka’s capital without having to use cabs or crowded buses on this private Colombo tour from Negombo. Ideal for travelers with limited time on the island’s west coast, this comprehensive tour covers the sights with ease and a guide to bring them alive. Admire the Gangarama temple on Beire Lake, see colonial-era landmarks such as the Old Parliament, enjoy time to souvenir-shop, and more.